When I travel, I like to take pictures of abandoned buildings. Often, the window panes can take on a look of abstract art. 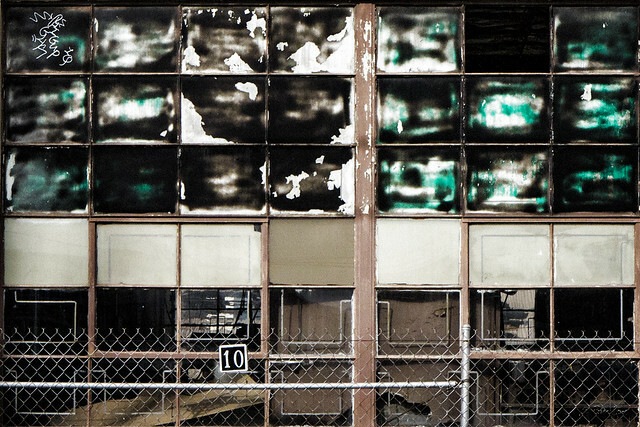 In this case, the building here in Downey's industrial district isn't really abandoned. But the effect is still there.